Each Contact Profile is a complete at-a-glance depiction of a Contact (individual or business) in your database. The Contact Profile is where you can view and edit data about your supporter, including his or her personal details, relationships, activity history, communications history subscriptions, peer pages, notes, custom fields, and more. 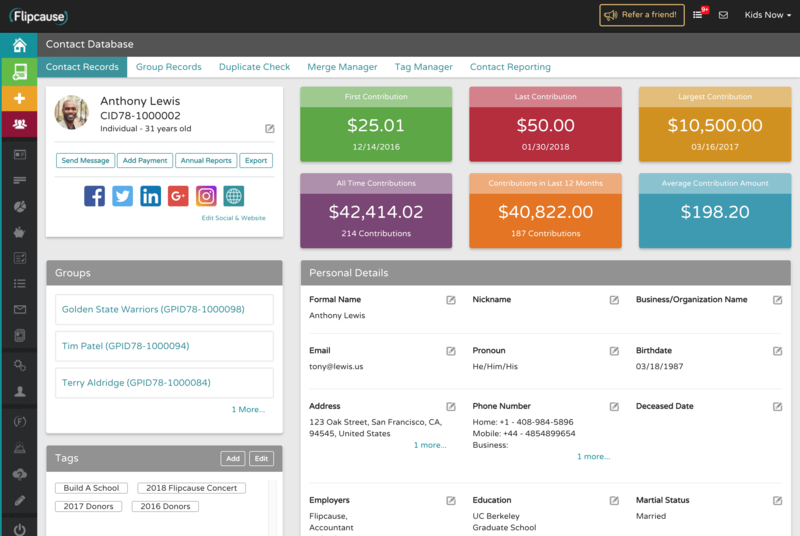 Profiles are also a centralized place where you can take actions such as adding custom tags, sending messages, adding new payments, and downloading Annual Reports for each contact.